For the launch of Australian honey innovator, Berringa’s new range of premium ‘super’ Manuka honey, Mkt. developed beautifully crafted Berringa ‘bee boxes’ for a select range of Australian influencers. Widely regarded as a ‘miracle healer’, Berringa’s Manuka honey has strong antibacterial properties that have been known to assist the soothing of colds and sore throats, reduce skin impurities, enhance skin appearance, heal scrapes and cuts, aid digestion and boost your immune system. 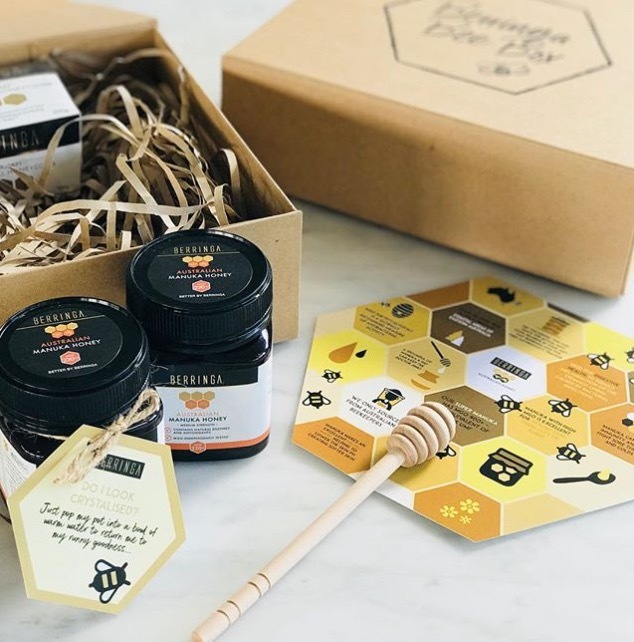 Influencers received a carefully curated ‘bee box’, complete with their own sample of Berringa’s Manuka honey, honeycomb, honey dipper and fast facts about the delicious sweet tasting goodness that is Manuka honey. 33 honey pots were delivered, generating 49 tailored pieces of social media coverage, a combined reach of over 1 million, and the creation of numerous mouth-watering recipes and plenty of sweet smiles across Australia.